WITH an average of 80 people each week diagnosed with bowel cancer around Australia, the Rotary Bowelscan project could help to save lives, says Richard Horne of the Ipswich North Rotary Club. "There are 4200 deaths nationally each year, if we can encourage people to do the initial test, we can help reduce that number," Mr Horne said. 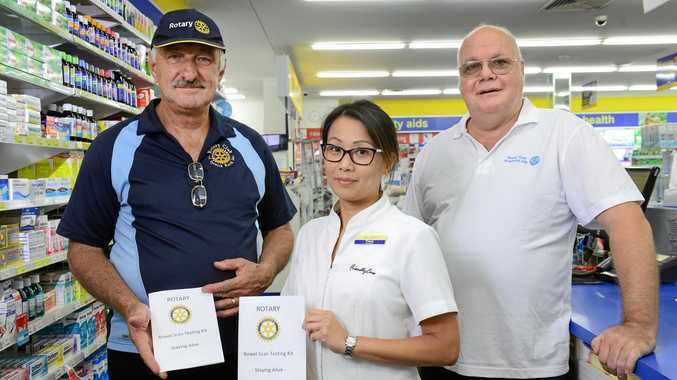 As part of the project, Rotary clubs throughout Ipswich have partnered with local pharmacies to sell the test kits, with the kits costing $20, including processing the completed tests. "It can be an unpleasant topic, but if you don't do it, you can die," he said. "This test should be part of your annual health care. Life is like a bus trip, it only goes one way." Unlike other cancers that target family genetic lines, Mr Horne said bowel cancer was indiscriminate. "There are some like breast cancer that will recur in a family, but bowel cancer will just suddenly appear, with no family history," he said. He said the tests took only "a few seconds" but the opportunity to treat an undiagnosed disease could save lives. As part of the test, people nominate a doctor or healthcare provider who also receives a copy of the test results if there is a positive finding. "This allows them to then begin a testing and treatment regime, to help identify the actual situation and then fix it." The Rotary Bowelscan kit uses the Clinical Genomics iFOBT test. The new tests, introduced in 2014, are more sensitive than previously used kits, and need to be returned promptly to the chemist when completed. "Anyone aged over 40 is a prime candidate, we are looking to help save lives in the community, and urge as many people as possible to take part." 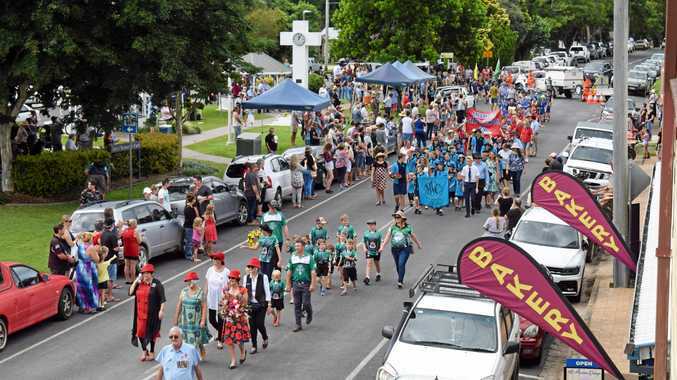 Mayor Paul Pisasale will officially launch the Rotary Bowelscan project on Tuesday, May 2.